According to myth, Darius Shano was a prolific Breton writer who lived in Daenia sometime in the Third Era. He was a subject of a wager between Sheogorath and Vaernima on who could make Darius be more hated by the populace. From the age of nineteen, for ten years his dreams were imbued by Vaernima with scenes of abject horror and he went on to write about those dreams, causing disgust and sensation for many of his contemporaries. For the next ten years, Sheogorath sealed his link to Vaernima, putting an end to his source of inspiration. As time went by, he began to think Vaernima was never there to supplement his dreams, which led him to question the existence of gods in general. Darius, in turn, started to write extensively on the foolishness of Tamriel's faithful, serfs and nobility alike. Naturally, this produced actual hatred for Darius, unrivaled by that made from his previous works. This culminated, ten years later, with his final work – "The Noblest Fool" – in which he ridiculed Tiber Septim's status as the Ninth Divine. The king of Daenia, himself a victim of ridicule by Darius' philosophical works, used this as a pretext to have Darius executed, causing Vaernima to lose her wager with Sheogorath. Lord Darkworth is the commander of the Knights of the Rose, nobleman of Wayrest, and loyal to Eadwyre, King of Wayrest. Ruler of the Khajiiti kingdom of Anequina in the early First Era, Darloc Brae was a famed conqueror whose reign spanned from at least 1E 461 to 1E 478. He led the Anequine Conquests that expanded the territory of his realm to its greatest extent in history, and used the spoils from the conflict to construct the renowned Do'Krin Temple. Brae's reign is considered glorious by the Khajiit, and relics from the period are particularly prized, such as the hairball spittoon that he used in his post-battle grooming rituals. The Dunmeri patron saint of potters and glassmakers. Saint Delyn was once the head of House Indoril, as well as a skilled lawyer and author of many treatises on Tribunal law and custom. One of the cantons of Vivec was named in his honor, and, naturally, many guilds of potters and glassmakers were headquartered there. A former Jarl of Falkreath who ardently supported the Stormcloaks. The local nobles forced him to step down some time before 4E 201 and replaced him with his nephew Siddgeir, a supporter of the Empire, under the pretense that Dengeir's old age and poor health had made him unfit as Jarl. 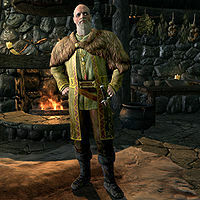 Dengeir was granted the title Thane of Falkreath, but he remained bitter and paranoid following the incident, as he believed Imperial plots and bribery were behind the transfer of power. His ancestor Vighar, a vampire who was buried alive in the infamous Falkreath graveyard, escaped around this time. Dengeir was honor-bound to stop him, so he had the Dovahkiin track down and slay Vighar. A Nordic war chief and Tongue of the First Empire of the Nords during the Conquest of Morrowind. An Ansei hero of the First Era. Legend speaks of a horde of giant goblins that poured into Hammerfell through a tear in space-time. At the time, Hallin was the only Ansei, and he and his companions had to rally the armies of the Redguards against the invaders. Hallin revived the old teachings of Frandar Hunding and the Book of Circles, and managed to fight the goblin hordes to a standstill, but the outlook was bleak. With some guidance from the writings of Divad the Singer, he and four companions sought out the five spirit swords (shehai) and used their power to forever destroy the goblin threat. At the climactic battle, Hallin faced the goblin warchief Mahgzoor Rockhand in single combat for many hours until ultimately slaying each other. The nearby town was named Hallin's Stand in his honor. It would later be overrun by a horde of Reachmen in the Second Era. Dervenin is a Bosmer and the High Priest of Mania in the Shivering Isles. He preaches the Manic beliefs of Arden-Sul in the Sacellum of New Sheoth. His rival is Arctus, the Priest of Dementia. Dervenin comes to power within the Sacellum by the whim of Sheogorath; he can only preach his Manic teachings if the Cold Flame of Agnon is lit for Mania. He is responsible for aiding anyone trying to replace the Duke of Mania, which requires sacrificing the duke's Greenmote-tainted blood to Arden-Sul. Dervenin helped Sheogorath's Champion on several occasions, working to halt the Greymarch in 3E 433. When Sheogorath abandoned the Shivering Isles, Dervenin went to Tamriel to search for him. In 4E 201, Dervenin was living as a beggar in the Skyrim city of Solitude when he encountered the Last Dragonborn. Dervenin tricked the hero into entering the mind of the long-dead Pelagius Septim III, where Sheogorath had taken up residence. After the Last Dragonborn cleansed the late emperor's mind of the madness which had plagued it in life, Dervenin confronted Sheogorath and pleaded with him to return to the Shivering Isles, eventually persuading him. A well-known historian and translator of old Redguard verse, born in the city-state of Rihad in 3E 20. At the age of nineteen, he went to the Imperial City to study, where he encountered cosmopolitan Breton, Nordic, and Dunmeri cultures. He had an extraordinarily productive career, writing Divad the Singer, Redguards, Their History and Their Heroes, and Notes For Redguard History, and leaving numerous unfinished histories and untranslated verse. He died in 3E 133, but still very little of this fragmented work has found its way out of collections. The Tsaesci founder of The Syffim, the precursor of the Fighters Guild, and a kinsman of Potentate Versidue-Shaie. Following Versidue-Shaie's declaration of martial law and the subsequent costly war to dissolve local armies throughout the Second Empire, the Potentate's vassals were plagued by a sharp rise in criminal activity that verged on anarchy. In 2E 320, Dinieras-Ves proposed creating an organization of warriors-for-hire whom nobles could employ in lieu of a standing army. The Syffim quickly spread across Tamriel, and the following year were officially sanctioned as the Fighters Guild in the Guilds Act. Divad Hunding was the only son of Frandar Hunding, born in 1E 760 Yokuda late in his life by an unknown woman. Although the son of a famous Ansei, Divad rejected the Way of the Sword from early on, leaving his training at age 16 to take the life of a bard instead. He traveled widely for several years, gaining a great deal of fame and recognition for his singing. Divayth Fyr was a Dunmer sorcerer born as a Chimer in Tel Aruhn in the early First Era who lived until at least the end of the Third Era, at the age of 4000, and who may still be alive today. He is a member of Great House Telvanni, though he generally stayed out of House politics. Divayth Fyr once studied on the isle of Artaeum, but is said to have left as a "sharp-elbowed upstart". In the Third Era, Fyr lived in his tower of Tel Fyr in the Azura's Coast region of Vvardenfell along with his four "daughters" (female clones of himself), Alfe, Beyte, Delte and Uupse Fyr. Dragonne Papré (or Dragonne Papre) was an enormous dragon who lived in the Battlespire during the Third Era. He was the companion of an Imperial Battlemage named Samar Starlover. Dragonne Papré's lair was located in the bowels of the Battlespire. 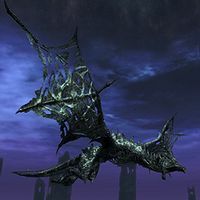 When the invading daedric armies of Mehrunes Dagon began to overwhelm the Battlespire during the Imperial Simulacrum, Samar told the surviving Battlemages of his plan to mount Papré and fly to the Imperial Palace on Nirn in order to notify Emperor Uriel Septim VII (although, at the time, Jagar Tharn was impersonating the Emperor and was perfectly aware of the invasion). However, the daedra had prevented Papré from escaping by sealing the main gate, and presumably killed him. When Starlover fought his way to Papré's lair, all he found was a carcass. Unable to request a rescue force, Starlover gave up hope and took comfort in being "eternally reunited" with his companion in death. The Battlespire fell to the daedra, who then retreated back into Oblivion. Starlover's log was later discovered beside Papré's skeleton by an apprentice Battlemage, who single-handedly followed the retreating armies into Oblivion and banished Dagon in his own realm. The logs were returned to Tamriel and came into the possession of Divayth Fyr. Due to the nature of dragons, Dragonne Papré isn't truly dead and could be raised again; however, it is unclear if his remains survived the destruction of the Battlespire. Famed Khajiiti hero. Their tales say "the Ra'Wulfharth", the Ash King, sent out a call for aid in attacking Red Mountain (presumably referring to the Battle of Red Mountain circa 1E 700). Dro'Zira was the only one of the "Rhojiit" who still remembered that Ra'Wulfharth had once shown them mercy and respect, and so, he was the only one who answered the call. Dro'Zira acted as Ra'Wulfharth's war mount during the battle and saved the Ash King during his battle against Dumac. Later, Dro'Zira found himself in the lands of Sheggorath, but Lorkhaj decided to save Dro'Zira due to the great bravery he had exhibited. Dumac Dwarfking, also known as Dumac Dwarf-Orc and Dumalacath, was the last ruler of the Dwemer before their disappearance. 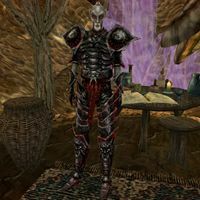 Along with Indoril Nerevar, he united the Chimer and Dwemer clans, and together they pushed the Nords out of Morrowind by 1E 416. Resdayn flourished under the leadership of Dumac and Nerevar, and the two developed a mutual respect and friendship. Peace among the Chimer, and between the elves and the Dwemer, brought an unprecedented prosperity and flowering of both cultures. Dumac could not please everyone, however; the Rourken Clan rejected the union and left Resdayn. Dumac attended the coronation of Emperor Gorieus in 1E 461. Some sources describe him as a king, others call him a general. It is said he gave the swords Hopesfire and Trueflame to Almalexia and Nerevar as wedding presents. The peace Dumac and Nerevar had maintained for centuries eventually shattered along with their friendship. Dumac died at the Battle of Red Mountain around 1E 700. No one is sure what happened to Dumac or his people. While it's generally thought that the Chimer and Dwemer were at odds, one legend describes Dumac as the champion of Nerevar during the battle, and says Nerevar struck down Dagoth Ur when the latter slew Dumac. Other accounts say Nerevar slew Dumac personally, some going so far as to say he feasted on his old friend's heart. A Reachman leader during the chaotic Interregnum period. At some point he raised an army from the Reach and seized control of the Empire of Cyrodiil, reigning as the first of the Longhouse Emperors. Durcorach married Veraxia Tharn of the prominent Nibenese Tharn family, allegedly to legitimize his claim to the Ruby Throne. In 2E 541 or 2E 542, Durcorach led the Reachmen in a bloody invasion of High Rock, ravaging the countryside and pillaging many cities. After abandoning a lengthy siege of Wayrest, he set his sights towards Daggerfall. As his forces massed before the gates, Emeric of Cumberland led a daring maneuver that completely flanked Durcorach's ranks, taking them by surprise. The defenders of Daggerfall sallied forth for a devastating pincer attack, during which the Black Drake himself was struck down by Emeric and his forces were scattered. Rule of the Empire passed to Durcorach's son, Moricar. Durnehviir is an undead dragon whose name means "Curse Never Dying" in the Dragon Language. In the Merethic Era when dragons ruled Tamriel, Durnehviir took part in many battles against other dragons for control of the skies. Instead of fighting, he delved into "alok-dilon", or necromancy. Like many great necromancers, he contacted the Ideal Masters in an attempt to gain their favor. They granted him the power to summon armies of undead from the Soul Cairn, but in return he had to guard a vampire named Valerica who had been trapped in the Soul Cairn by the Ideal Masters. The Masters neglected to inform Durnehviir of Valerica's immortality, and essentially tricked him into eternal servitude. In time, his body became accustomed to the Soul Cairn, making it impossible for him to ever permanently return to Tamriel. In 4E 201, the Last Dragonborn and Serana journeyed to the Soul Cairn in search of Valerica. Their actions awoke Durnehviir, who attacked the intruders. He was killed by the Dragonborn, but his soul was not devoured because of the Ideal Masters' protection. He promptly rematerialized, and hailed the Dragonborn as his "Qahnaarin", or Vanquisher. Humbled by his defeat, Durnehviir allied himself with the Dragonborn. He asked the Dragonborn to use the thu'um to summon him to Tamriel, allowing him to briefly be free of the Soul Cairn. In return for granting his wish, Durnehviir fought for the Dragonborn and passed on the knowledge of a necromantic Dragon Shout. Although Durnehviir's debt to the Ideal Masters had been paid, he remained eternally trapped in the Soul Cairn. "These [records] may help explain why so much of Aldmeri literature is forbidden, scorned, or untranslated, for I have seen [their] like before. The Direnni were either exceedingly paranoid or their system of economy so inextricably linked with dangerous theosophist numeral-symbolism that much of what is recorded here requires ... sorcerous precautions on the part of the reader. [Hidden magic] is everywhere incorporated in their writings...signs and preternatural runes and [correspondences]... in expenditure columns, even, or margins [that] can be fatal to the uninitiated. Crucial pages were covered in spittle of the previous translator, who had babbled idiotically over the text for days before catching fire." He also stated that a true adventure can only begin "by death, by slur, or by letter", meaning someone must die, be insulted, or receive a letter. His statement concludes that if an adventure does not begin from one of these causes, it can be at most an "indiscretion" or "escapade". Dyus of Mytheria was the chamberlain of Jyggalag and the keeper of his Great Library. He was originally simply the Prince's librarian, but soon took on many of the tasks Jyggalag found distasteful. His mortality was stripped away when Jyggalag grew tired of him dying. Using the formulae once contained in the Great Library, Dyus can predict all events before they happen, save the Prophecies of the Elder Scrolls. This page was last modified on 1 August 2018, at 13:26.